Unless you have an automatic sales integration set up with Consonance, you will retrieve sales files yourself from various sources. Here are some sales sources with notes on how to retrieve their sales reports. Download your monthly sales from their FTP site (the OUT folder). 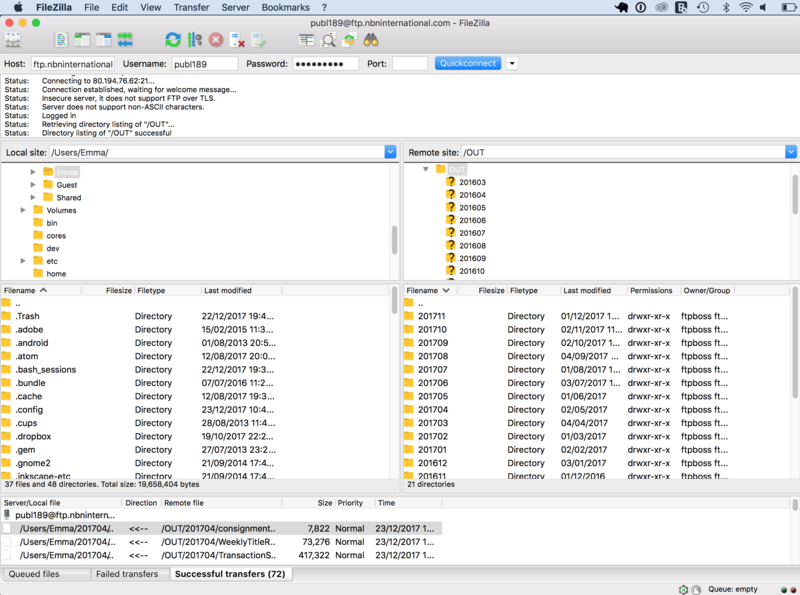 Use the free Filezilla FTP client, available for Windows or Mac, to download them. If your ebook sales via Amazon are not aggregated by your distributor, download them yourself. 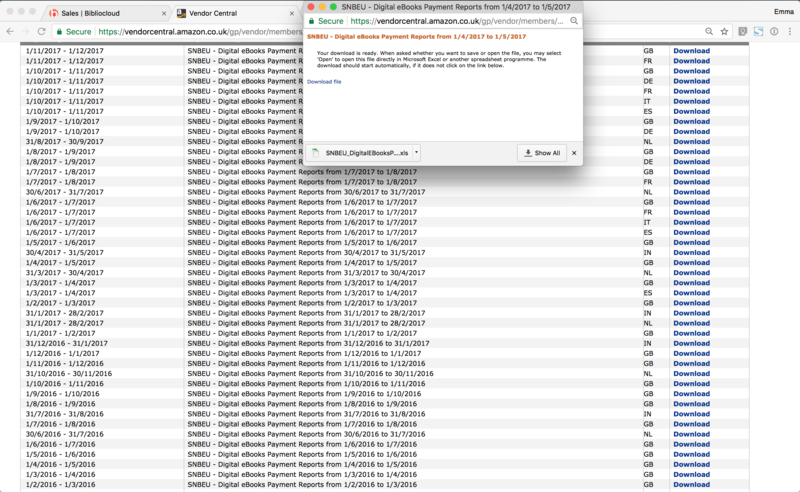 Sign in to Vendor Central, go to Reports > Digital Media Reports, and painstakingly download the files month by month for each territory. Repeat for Amazon US. Sign in and go to Reports > Print sales reports. 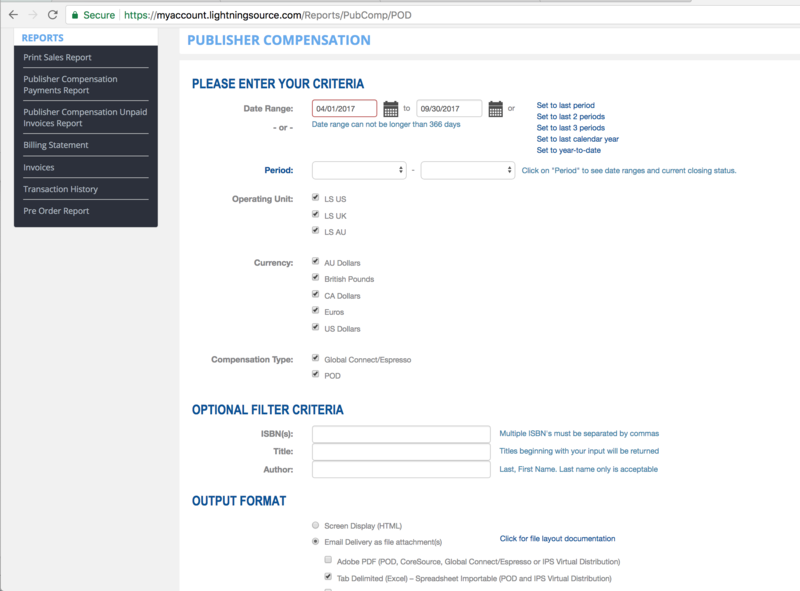 The page that loads will incorrectly be labelled Publisher Compensation: fill it out as shown, giving the dates you want to import sales for. The reports will be emailed to you. 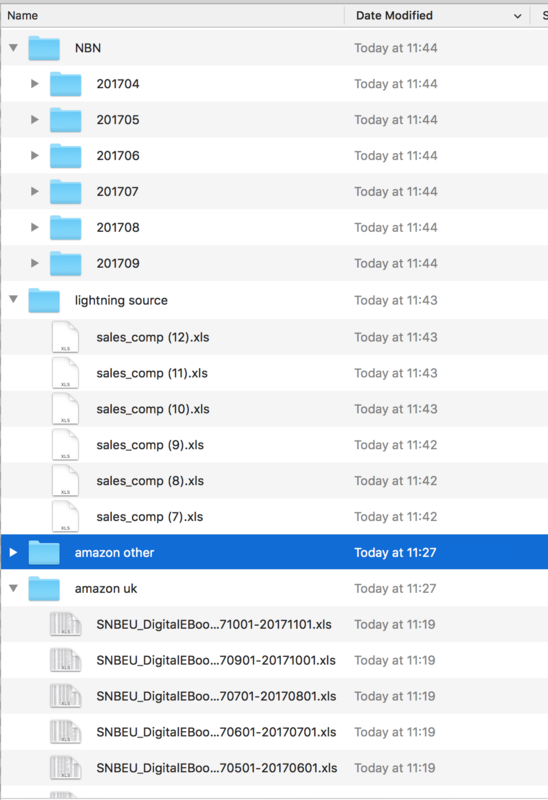 After downloading all the sales files you have them stored on your computer. The sales reports you downloaded are in multiple formats and you need to extract the relevant data to be able to upload it to Consonance. Contact us to receive a link to a Google Sheet which includes a dropdown with your sales channels.